I was looking for an adapter to use Zuiko's on a Canon Eos. At last I found one! Cheap? No. Uh-uh. And here from Kindai. In Japanese. For lens MTF tests - some Zuiko's - go to Photodo. I also found a nice black nosed 5/200mm at last. Ever been to The Olympus School? Here it is! Olympus Manuals on the US site. Olympus Japan - wallpapers - olympus camera's icons - history etc . 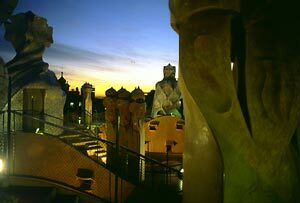 The Olympus Four Thirds site - 4/3 has been designed with the requirements of professional photographers at heart. My e-20 has one really exceptional feature: it has no moving mirror, so it takes pictures virtually soundless. And equally important: it gives me preview on the screen just like on my small Canon Ixus! What now do you think they have altered on the E-1 and the other four/thirds? Right! The mirror is moving! So no preview. Plus: shhss-click-noise! Oh please, may mr Maitani give them some inspiration. Do I have more complaints? Yes please go back to normal manual focusing instead of this fuzzy fly-by-wire focus ring. January 26th 2006 - Now there is news! If it was inspiration from mr Maitani we will never know. Olympus launched the E-330 with a capability to deliver a live view on the LCD monitor a bit like the e-20. Not the same, because the regular live view will come from a small sensor in the viewfinder that is a complex of mirrors rather than a prism. Some of the inner layout seems to go back to one of Maitani's most beautiful camera's, the Pen-F. (Like its predecessor the Evolt E-300.) The patent for the viewfinder of the Pen F is here. Have you ever looked at the wallpapers from Olympus Japan? Get great wallpapers here! Yes the OM's look nice, but the Pens are really great. Olympus specifications, history and sales info - Hans van Veluwen. The Unofficial Olympus OM Sales Information File (AKA "e-SIF"), 362MB! Looking for manuals? Most manuals are slightly hidden under a button on the pages describing the various camera's and lenses. Olympus eSIF was taken down due to "data sharks" causing bandwidth issues. Two mirrors exist but will NOT be linked to since a lot of outgoing Olympus traffic was generated from this webpage too. The Olympus Mailing List home Olympus mailing list information and archives. The Olympus FAQs Page - R. Lee Hawkins and Michael Covington - Olympus FAQs and links. 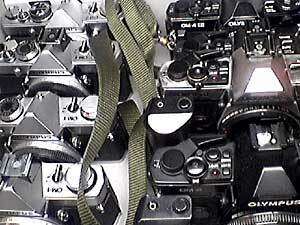 How to Buy Used Olympus SLR Equipment FAQ - R. Lee Hawkins. Use your non digital Zuiko's on your four/thirds. are entitled to one. Just register with Olympus USA. but now without the Olympus name. You send Olympus the serial number of your 4/3 camera; place of purchase; fax a copy of the warranty card, and they send it to you for free. Or just call Olympus tech help line and tell them you have some OM lens you want to use with your 4/3 camera. Camtech - John Hermanson - Olympus Camera Service. Huntington NY. Om-Doktor - Frank Timmann Reparatur der OLYMPUS OM Systeme OM 1, OM 2, OM 1 N, OM 2 N, OM 3, OM 4, OM Serie, Objektive, Zuiko Zubehör, Zuiko Objektive. Komplette Metall-Kameras, 35 RC, 35 RD. Wenn OLYMPUS es nicht kann, wir können es! Uns ist keine Kamera zu alt! Sounds promising, but he seems to be offline at the moment. M-1 information page - Mark Dapoz. This page is a documentary about the Olympus M-1. Information has been gathered as part of my M-1 restoration project. Synchro on the Om4(ti) - Wim Wiskerke. Flash in auto mode with longer shutterspeed. Same in Dutch : automatisch flitsen bij langere sluitertijden op de OM4 (ti) met de T20. Big Batteries - Rick Oleson. How to run a Olympus on AA penlites. Olympus OM-1 Aerial Camera Housing for Steve Ogles WATERSHOT INC. The remote control OM housing was mounted on the end of removable 4130 steel tube mounts. These were bolted onto the wing spar jig fixtures of the aircraft wings. Designed for POV shots of the aircraft in flight against various backdrops. This is a zero-control housing using the Zuiko 21mm lens. Leather Covers for Olympus OM Cameras. M. Sparks. Natural Cobra skin; natural lizard skin; red snakeskin. They recently introduced die-cut baseplates: "Scratch-Pads" to protect your Olympus OM1-4. Nice! Basic shutter job on an OM1 - Robert Ian Axford. This particular body came in with a sticky shutter at 1/8th of a second. The slow speed unit is hidden out of the way underneath the floor of the mirror box. The original m39 Leicas also have their escapements down here and this is just one of the several things that Maitani (and so many others) lifted from the design of those classics. Lavishly documented with pictures; a bit sparse on the theoretics of the job. He also finds a bug in the design of this early OM1 - I think he may be right. Favorite Classics - Henry Taber and Kar Yan Mak maintain a series of instruction and repair manuals here. Mega Olympus - Peter Gilbert. Color brochures, wallpapers (! ), print advertisments, VisionAge, reviews, articles, instructions, manuals. Olympus Documentation Archive - Greg Heier - The Olydocs. Olympus Documentation Archive. User manuals and documentation. Zuikoholics Anonymous - Thomas J. Scales. Site dedicated to my obsession with Olympus OM equipment. 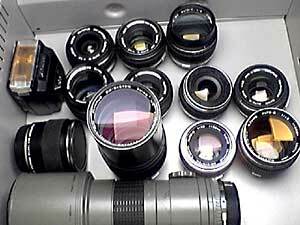 Olympus OM System Lens Tests - Gary Reese. Huge list. Please keep up the good work. Olympus OM-1(n) & OM-2 (n) SLR cameras - Leo Foo. From the Photography in Malaysia site. Independent self-written manuals. Not bad at all. Manuals from the real world. Olympus OM SLR System - John Lind (who is also developing a serious tutorial on wedding photography - nearly complete now). I'm looking forward to his Shift Lens Panoramic How-To. 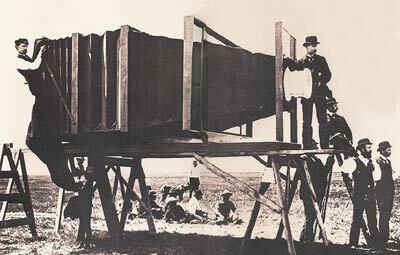 Olympus Camera Page - Klaus Schroiff, PhotoZone. Olympus OM1/OM2 Overview - (tele)scopereviews by Ed Ting. Astro photography. OM astrophotography - Paul Blackburn astronomy, astrophotography and general information of what's visible in the skies. Olympus OM 10 & Zuiko lenses - Philip Kagei - documentation - scanned manual in html. The complete original lens group booklet is here. 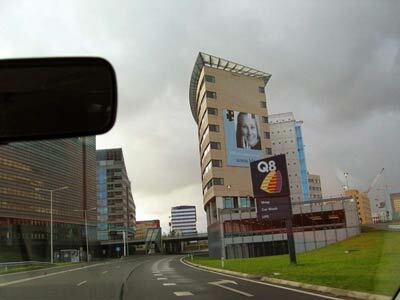 Wide Angle's Olympus Catalogue - the online shop of Jaap Korten. Jaap is an important collector from Holland, and has a wide range of Oly stuff for sale. Guide to Classic Camera's - Mediajoy (a Japanese Camera shop). Basic independent manuals of the Pen FT; OM1; 2; 2sp; 10. Good, informative pictures and 3d images. The Blue eBook for Photography / Olympus - Michael A. Le Pard. Prices. A photo from my very humble 5 megapixel e-20. It is even a crop! No not this picture; the black and white one on that wall! There are still some floors in this building for rent! Performance characteristics of Olympus OM4t with F280. - Andrew Davidhazy, RIT. The first project was set up to respond to a request by Modern Photography magazine to analyze the performance characteristics of the OM4-T camera coupled to the novel F280 long duration flash. Areas of interest dealt with actual vs. specified flash duration , manner of light management, synchronization characteristics, etc. homepage van Frank Wijsmuller - In English there's only stuff about Olympus to find here. It is in Dutch too, as are some nice recipes. CameraQuest Classic Camera's - Stephen Gandy. Olympus Pen D2 Half Frame and others. Gandy also sells adapters! (And of course all the nice Voigtlander stuff.) Not a lot of OM related material. He has a picture of a golden OM1. Some people on this page have the real thing! Olympus Links Page by Siddiq or V.Acer. Nice humor part from the mailing list. Yohei Suzukawa shows off a lot of Olympus literature he has collected. Nothing online though. The 25 best camera's list of Photo Techniques. Mike Johnston. The Om4 is on #22. The Stylus Epic is on #20. The Sinar on #1. What happened to Photo Techniques? Phototechmag.com could not been found... Another one that bit the dust? That would be a pity. How do you pronounce "Zuiko" and "Maitani?" Biofos - John Foster - Interested in Olympus? There's lots here for you. You can even sign on for The Olympus Circle - TOC - for a fee. Olympus Fans Page (Hong Kong) - C.H. Ling. - General Guide for Camera Equipment Checking; Own Comments On the Zuiko Lenses; He has the sound of the OM40; OM2 and the OM4ti. Zuiko Lenses Bokeh Test! He has used Canon and Minolta focusing screens in his OM. Erwin Voogt - Currently on world tour with Bastienne. Landscapes, people, small and big wildlife, monuments and cities of various countries, including my own country: The Netherlands. Besides that, there are also some astronomy pictures and stereo-images. 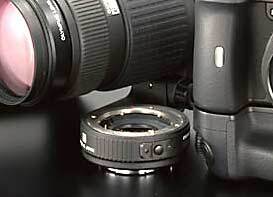 Most pictures are taken with Olympus equipment. Olympus Camera Information - Tomoko Yamamoto, photographer, composer, soprano. Here are some covers of brochures (M1!) and a description of a Zuiko to Canon adapter. Mail Tomoko Yamamoto how to get the adapter. Also quite useful: learn how to read basic Japanese, enought to be able to navigate some Japanese (camera) sites. Her new site is here. The Unofficial Yoshihisa Maitani & Olympus Cameras Fan page. A detailed history, including behind-the-scenes type background on both the Man & Machine and advertisements from the launch era. Olympus Instruction Manuals of Finger Lakes Photo Books. Some are originals, most are photocopy. Epinions Your opinion on virtually everything. OM-4Ti overall rating 100%. Recommended. Based on 4 member opinions. Quote: (...)metering is unsophisticated. Yeah right! Preisspiegel de.rec.fotografie, olympus - by Horst Saak-Winkelmann. In German. Short list of prices from the newsgroup de.rec.fotografie. (Short only for Olympus.) hmm, this link is broken. Olympus ftp server - Get most brochures and manuals here. Themed Olympus Photo Exhibition. The gallery of realised TOPE events. A lot of the people mentioned here are in this TOPE gallery of self portraits. - not with my swc! Olympus Equipment van Sal Piro - Olympus equipment and accessories. Now where has Sal gone? Olympus OM2000 The clone collection - Sébastien Roy. This page presents (well uh, presented) the Olympus OM2000 and its close relatives. All children of Cosina. Where did this very good page go? Let me know please! Olympus Poetry from the mailing list. The Olympus Guy - Paul Van Tuyl - Authorized Olympus Dealer. His site is currently on hold. He trades frequently through Ebay though (paulvt). Early retirement? 60 years of Olympus Cameras - Paul-Lauritz Amundsen. Olympus' first camera was the Semi-Olympus in 1936. Gone completely. Als je nu zelf nog een mooie link weet, of één van de links is gewijzigd: mail mij!